Shure ULX-D wireless System! | Productions Inc.
We are all looking to find ways to maximize the number of wireless channels available in the remaining spectrum. With more devices to support and operate, it makes it difficult. 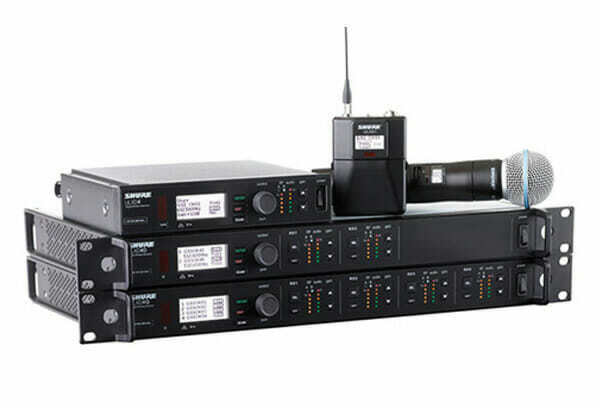 Shure has added two new additions to the ULX-D Digital Wireless System: the ULXD4D Dual Channel Receiver and the ULXD4Q Quad Channel Receiver. They pack either two or four channels of wireless into one rack unit, saving space and reducing installation time. In Standard mode, up to 17 ULX-D systems can operate in just 6 MHz of spectrum, which is equal to one U.S. TV channel. Need even more systems? No problem. Just activate High Density mode, which allows up to 47 systems to operate in just 6 MHz of spectrum, with a working range of 100 feet. Copyright © 2017 Productions Inc. All rights reserved.